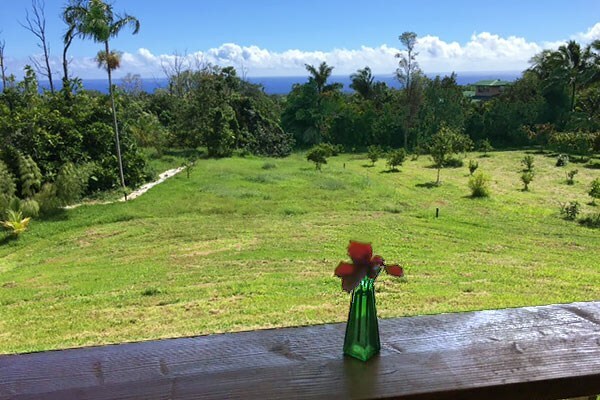 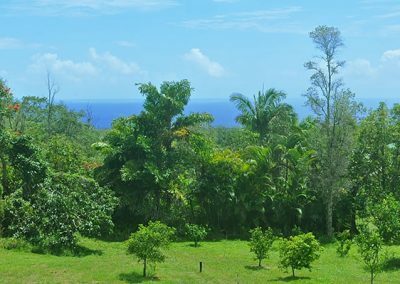 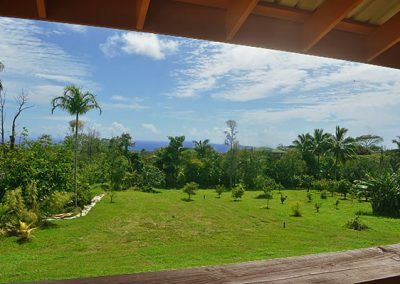 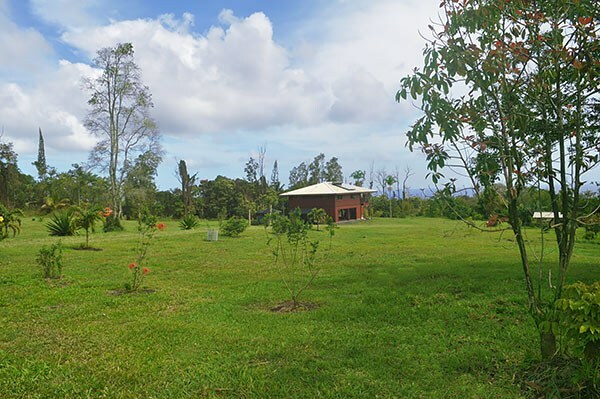 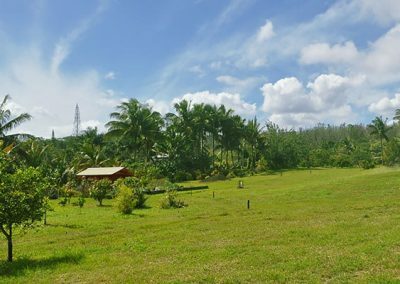 OCEAN VIEW 4.25 acre property with TWO HOMES located in the beautiful area of Opihikao / Kamaili. 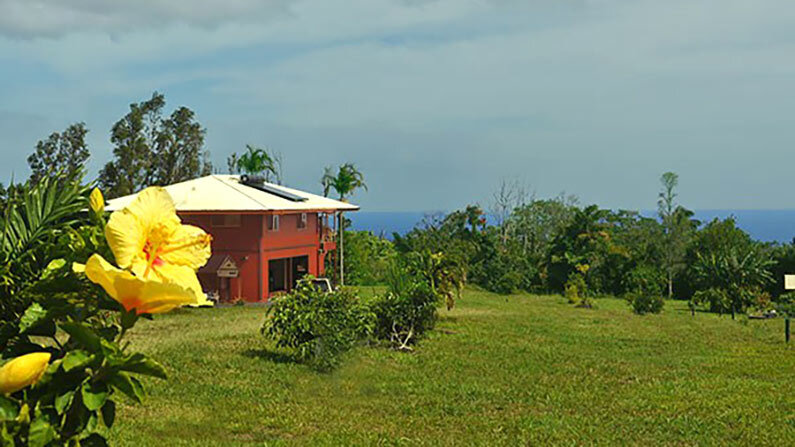 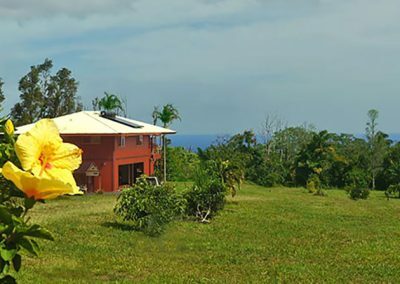 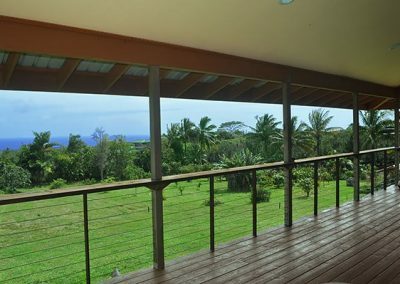 Both homes face East on this lush tropical property so you will not only experience the beauty of the Pacific Ocean but also gorgeous sunrises over the crystal blue water and the famous trade winds East Hawaii is known for. 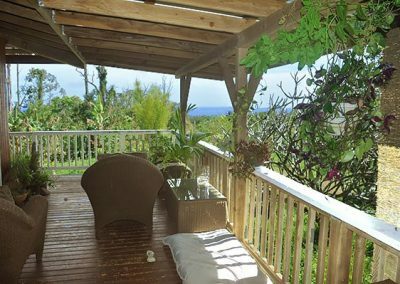 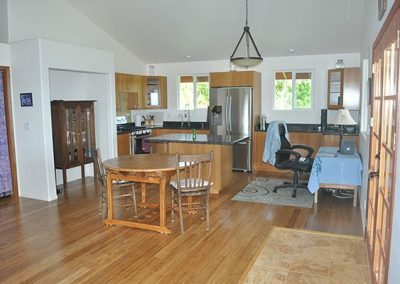 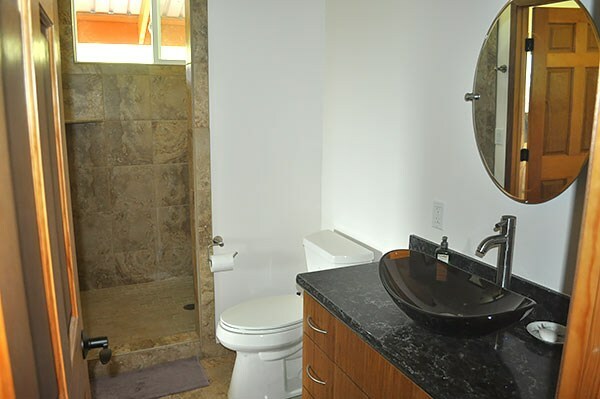 The main home, located close to the center of the lot, is a brand new 1,226 square foot, 2 bedroom, 2 bathroom home with a spacious 335 square foot, covered lanai that directly faces the ocean. 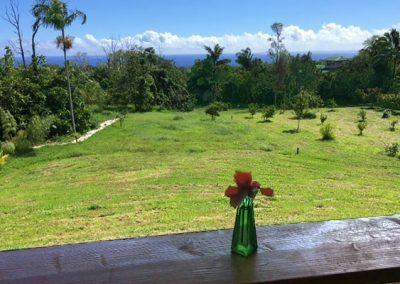 From your lanai, large enough for comfortable outdoor living, you will have breathtaking ocean views and a panoramic view of the property. 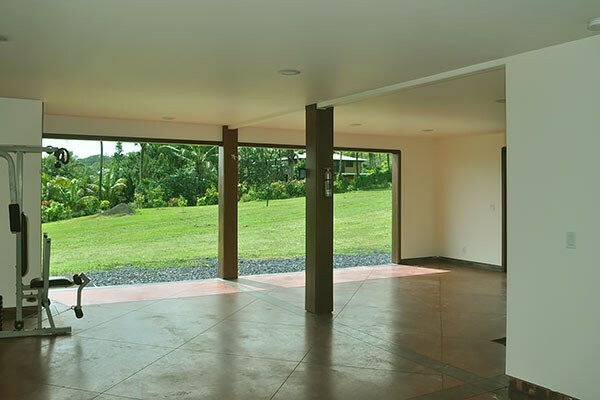 The area under the home is completed with a beautiful stained concrete slab and enclosed storage/laundry facility. 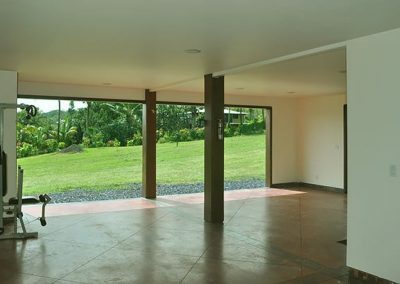 This can be used as a 778 square foot, carport or closed in to increase the living space. 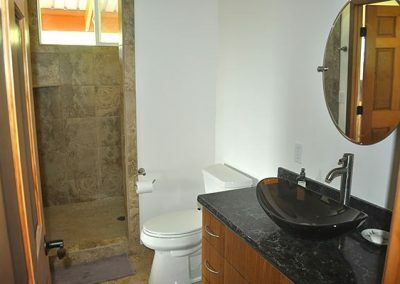 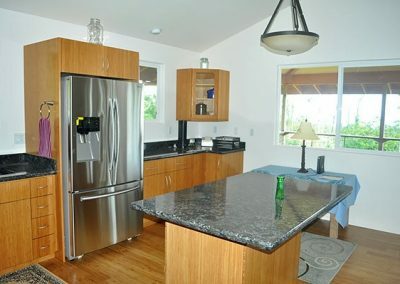 This solidly constructed new home has quality bamboo hardwood flooring, unique and beautiful bamboo cabinets, quartz counter tops, and new stainless steel appliances including a 5 burner gas range/oven, solar hot water, large catchment tank, outdoor shower and more! 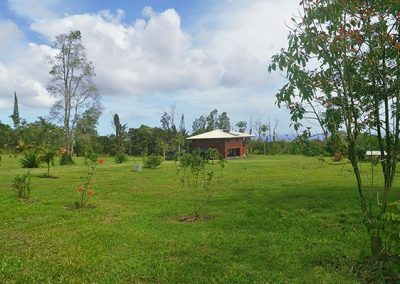 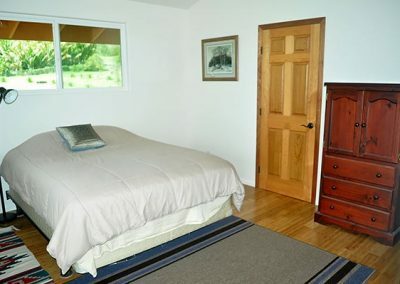 The property has been developed into a wonderful farm. 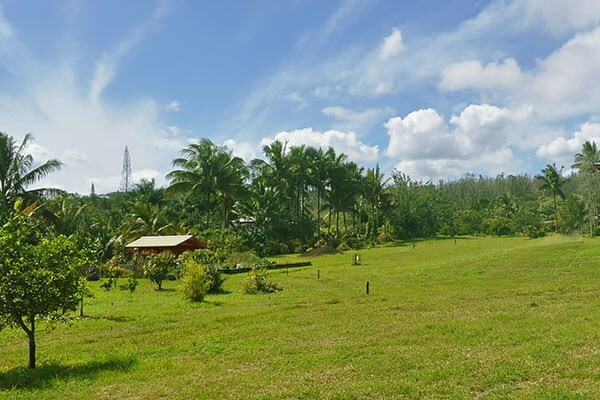 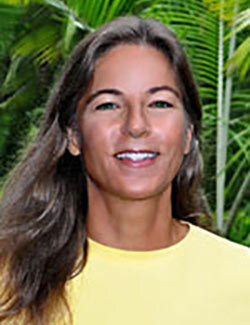 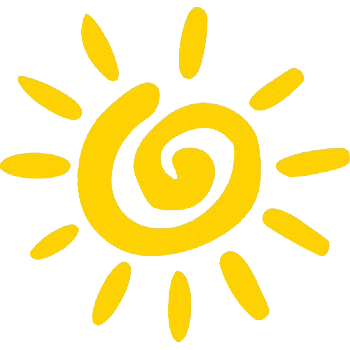 There are 100s of fruit trees including citrus, avocado, banana, lilikoi, rolinia and others. 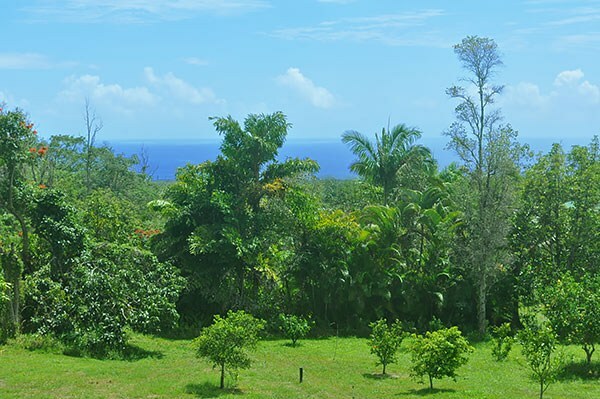 There are cinnamon, allspice and clove trees. 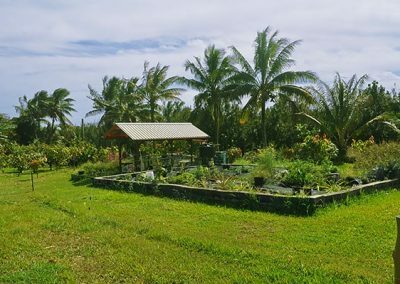 100+ Cacao plants which could be a cash crop. 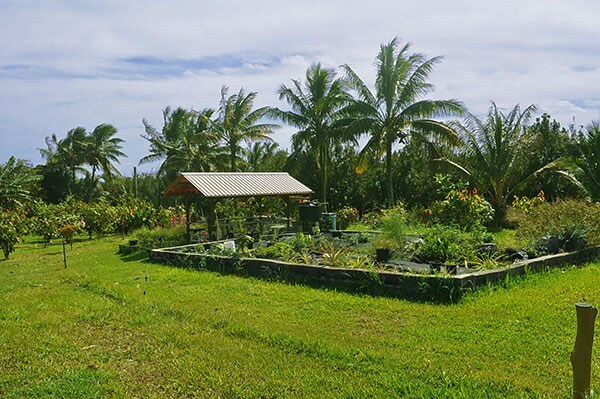 There is a large raise bed garden with pineapple and vegetables situated next to the garden gazebo. 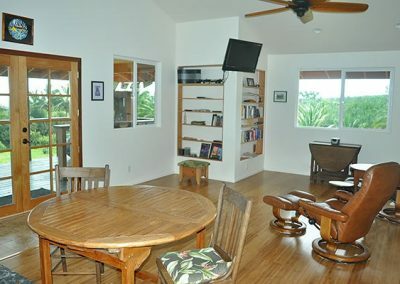 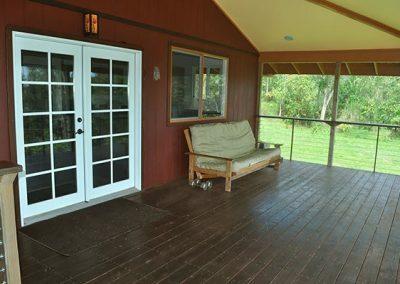 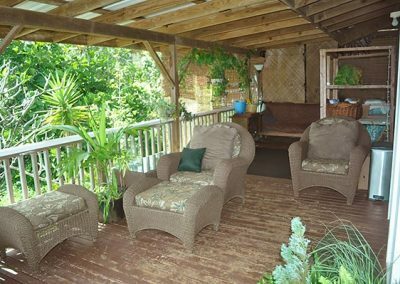 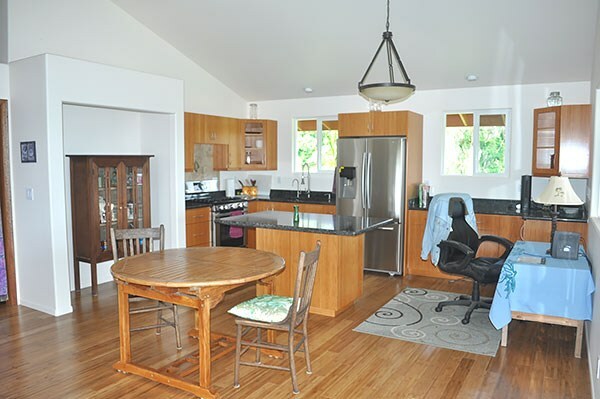 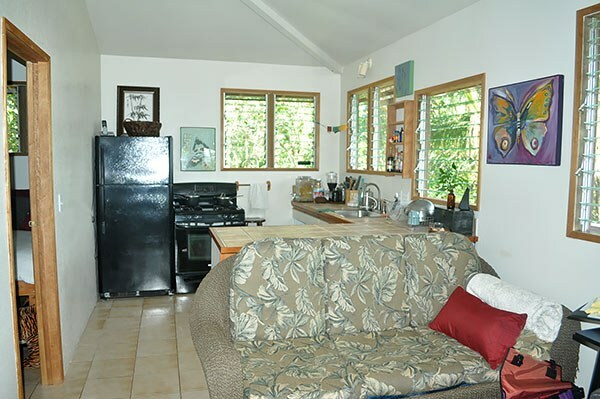 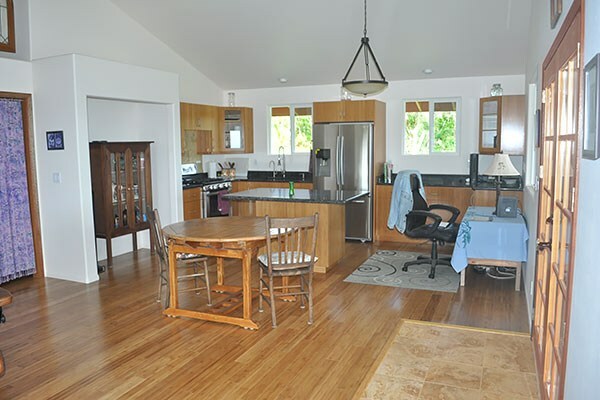 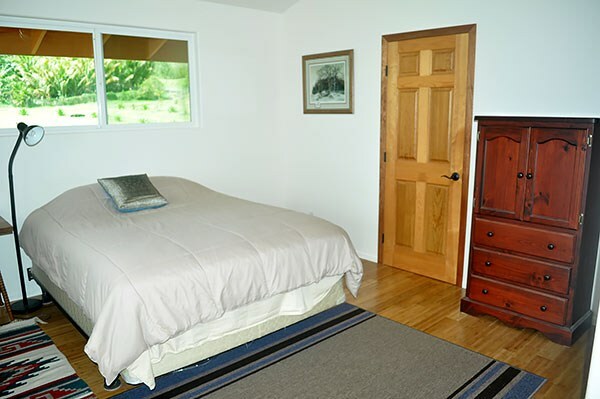 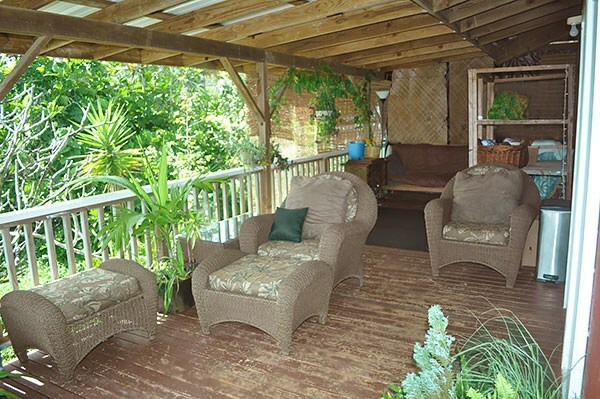 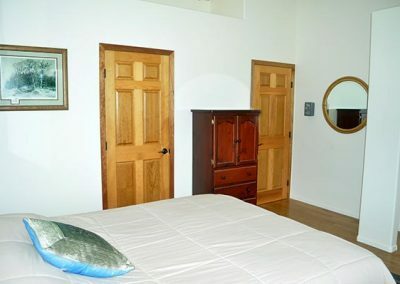 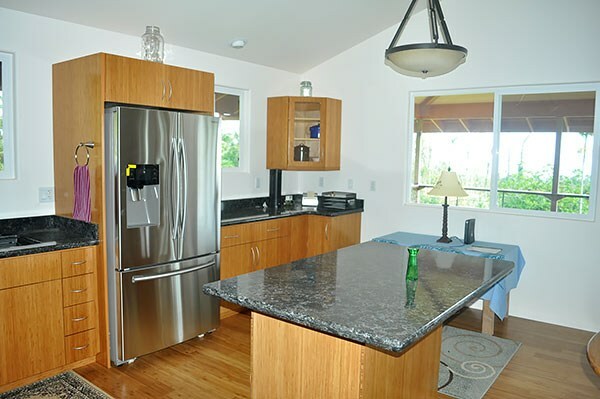 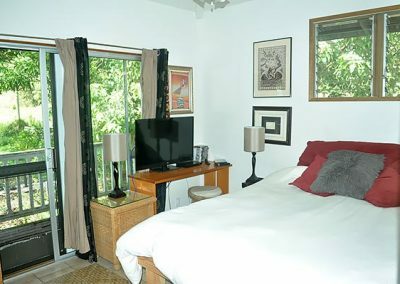 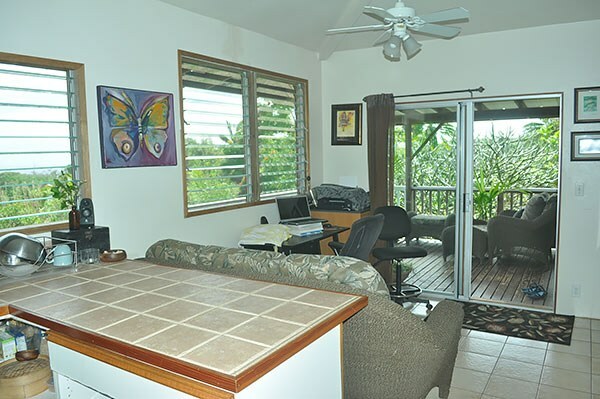 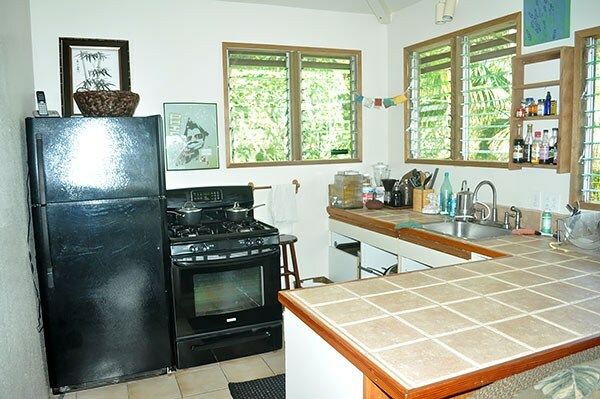 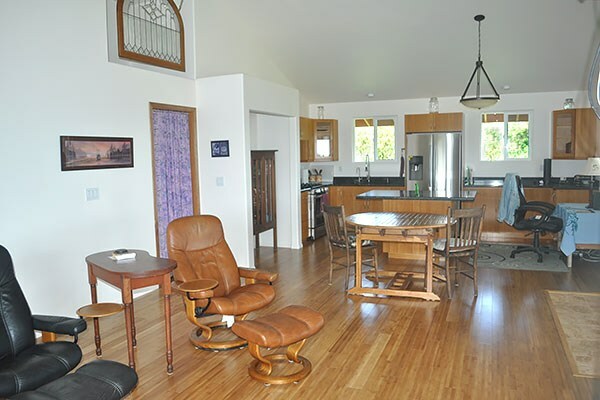 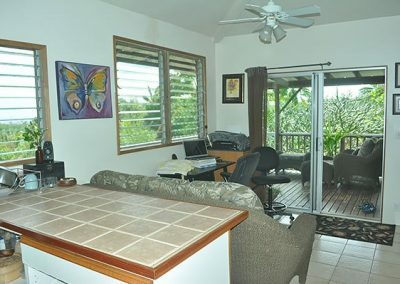 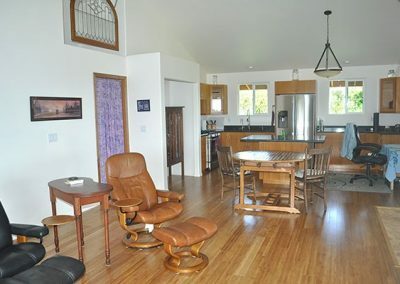 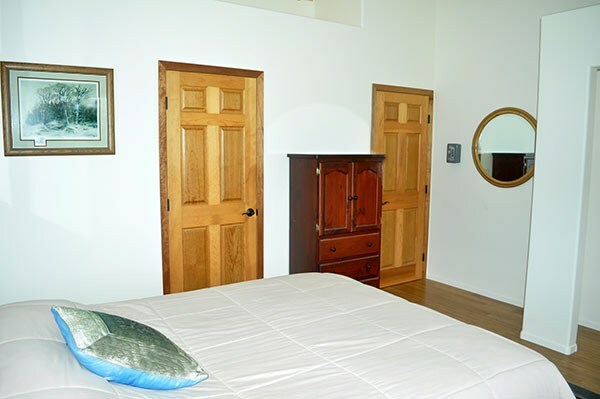 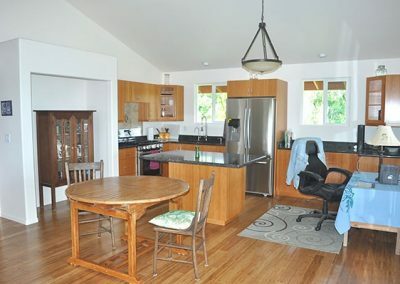 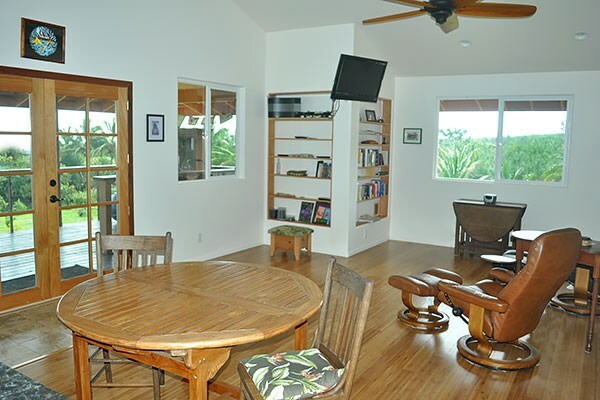 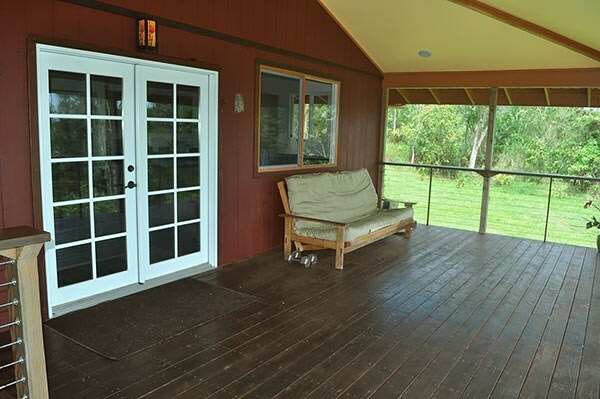 The 2nd 400 square foot, 1 bedroom, 1 bathroom home has over 400 feet of lanai much of it with wonderful ocean views. 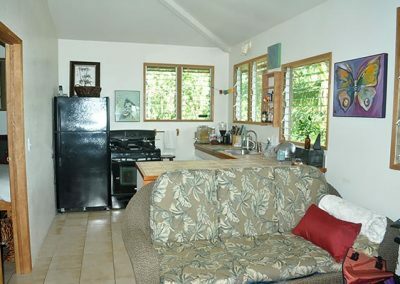 This home is tucked into the North-East corner of the lot and has its own driveway entrance separate from the main home. 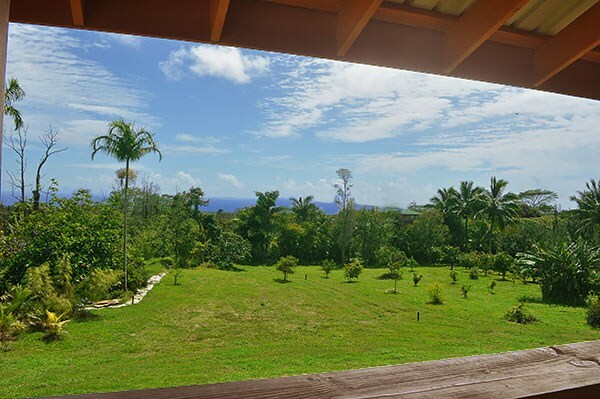 It is surrounded by tropical vegetation allowing for privacy. 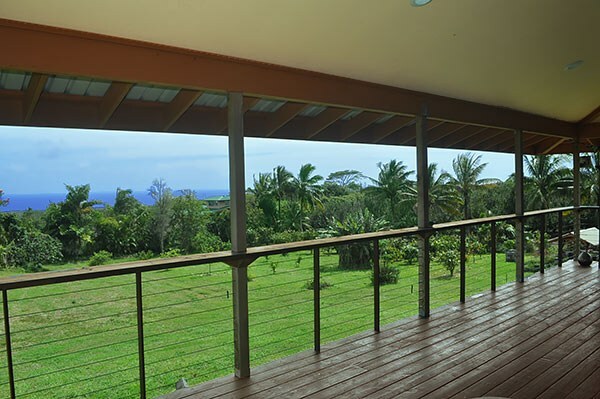 The stunning East Hawaii coastline is a short 10 minute drive away and Pahoa town with all its conveniences is within a 10 minute drive also. 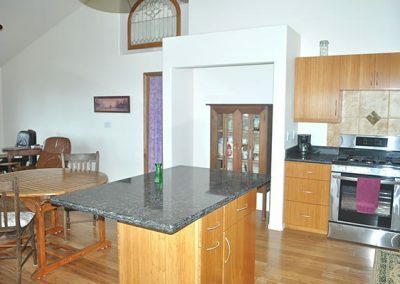 Rare Opportunity to purchase a beautiful property in this location.